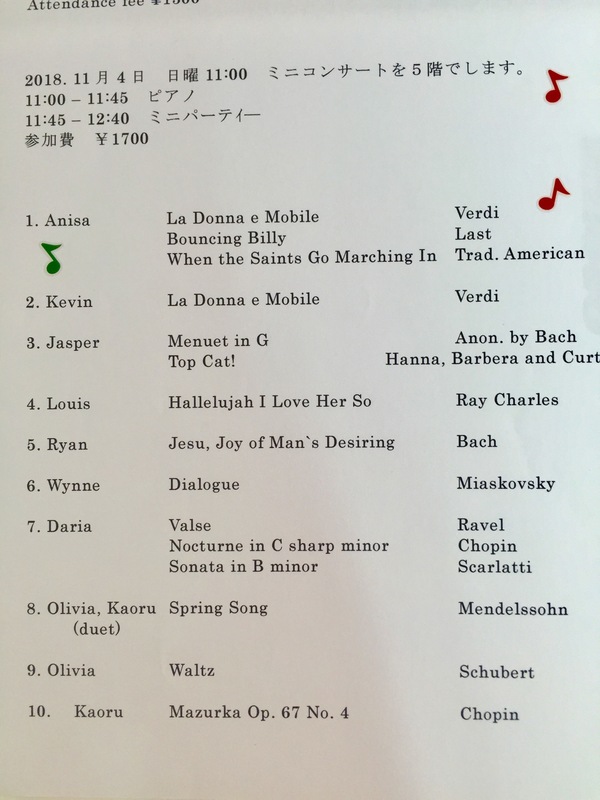 We had a Spring mini concert on the 21st of April in 2019 in our school . 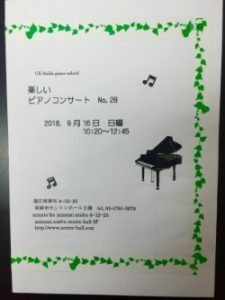 14people performed the piano , singing or piano duet . Some students are going to have ABRSM exam this Spring or Autumn . Some business people couldn’t attend the annual concert last year so this concert was an opportunity for them to play in the concert . 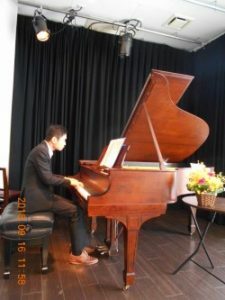 They played Schubert , Bach ,Beethoven , Mozart etc. Some students played jazzy pieces. 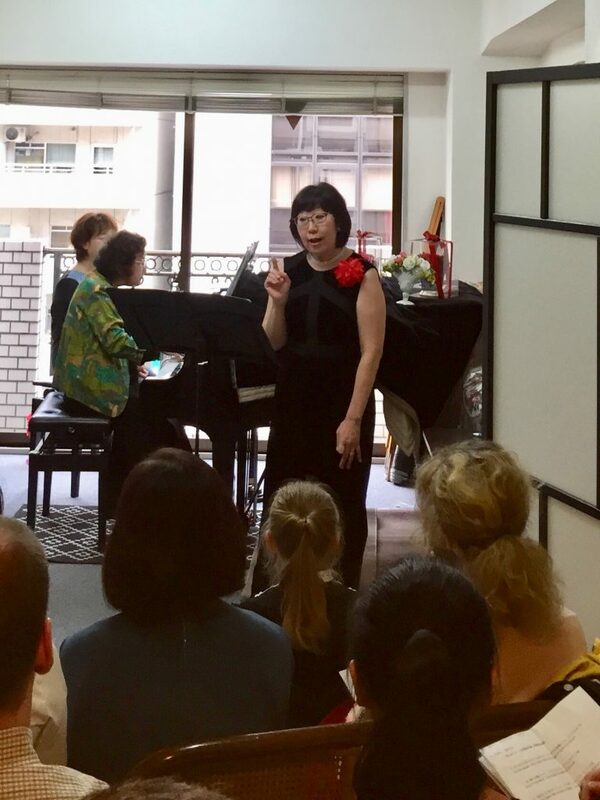 The lady chorus teacher came from London sang a beautiful Japanese song and some opera songs with a marvelous piano accompaniment . 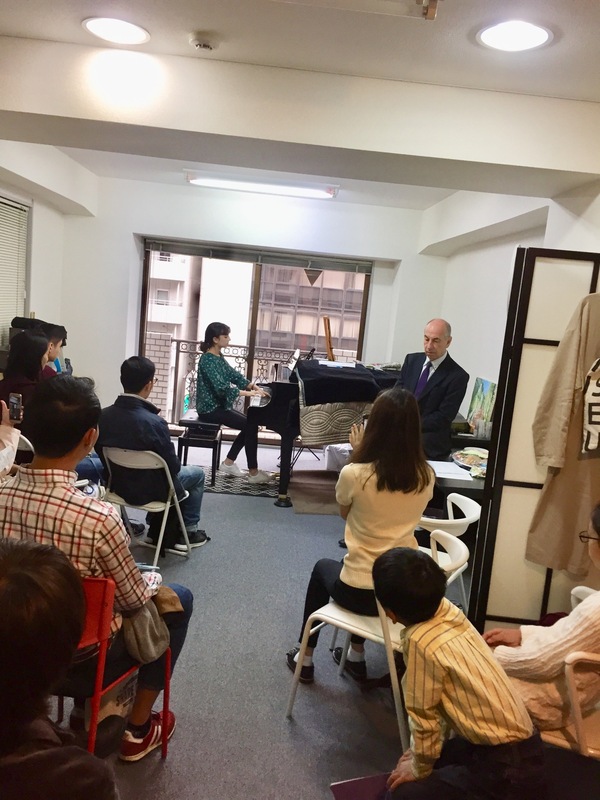 After that we had a enjoyable mini party with drink .Our English language students also had a nice chat with the piano students who speaks English . .The concert and a mini party was a warm atmosphere. 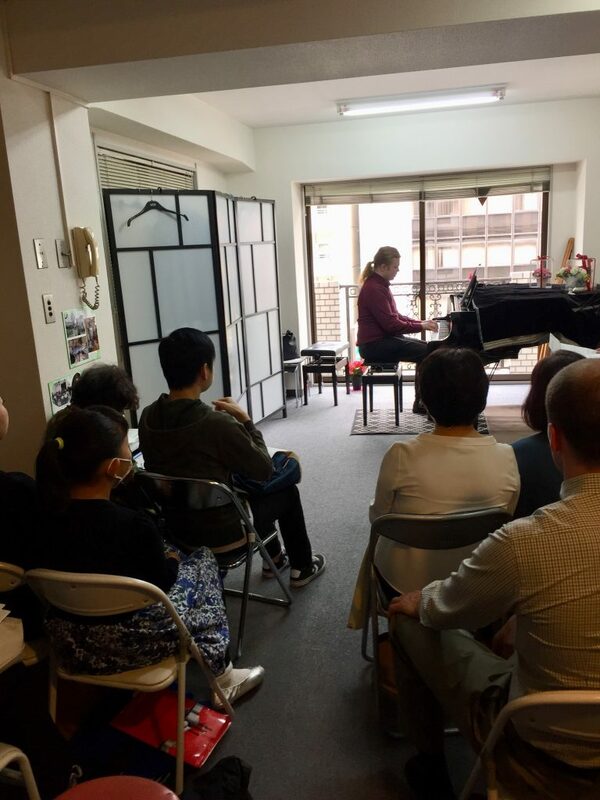 We had a mini concert in November 2018 for ABRSM exam students. After the concert, we had a chat day with Japanese people who are studying English in our school. This concert is good for the students before their exam.All our students got a good result in the exam . Grade 7 student got merit and the other student got distinction . One of our students, a Russian girl got distinction in this spring term ABRSM exam. 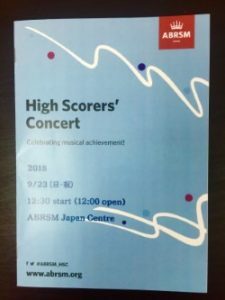 ABRSM Tokyo office invited her to perform in the ABRSM high scores concert. 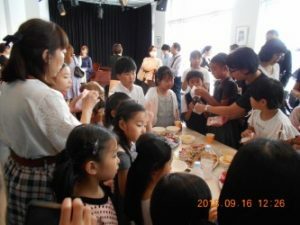 They invited our piano teachers to their party after the concert. Everybody played well. 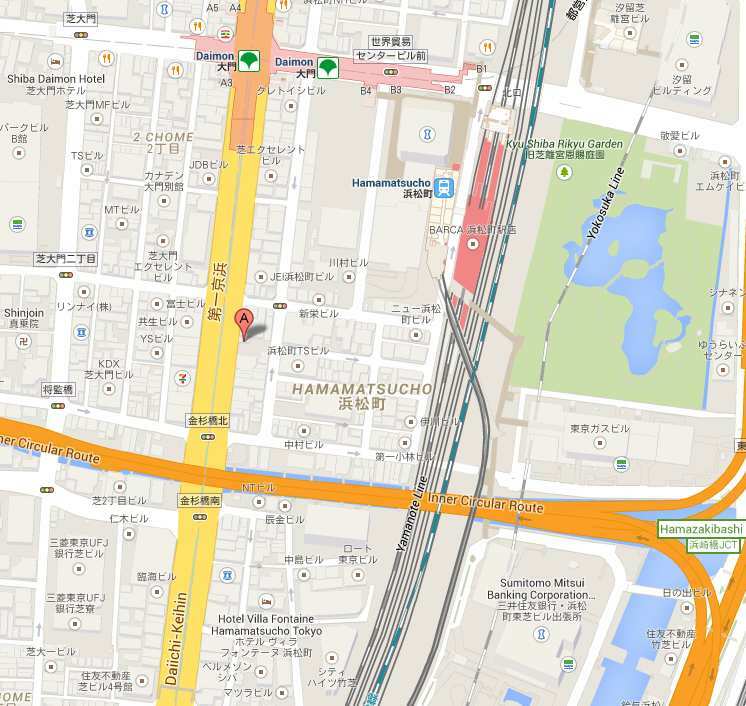 ABRSM Tokyo office moved to the new office in Waseda which has a concert hall. The high scores concert was held in their new concert hall. 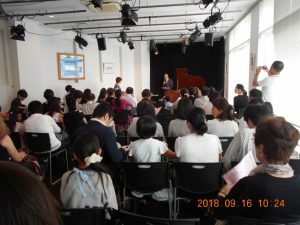 We held a piano student`s concert on the 16th of September in a lovely Hall in Azabu. About thirty five people played the piano and three people sang a song. Our students are from 5 to adults. After the interval , many high grade students played Chopin, Debussy ,Ravel, J.S.Bach etc. We had a mini party after the concert. 100 people enjoyed the heart warming concert.